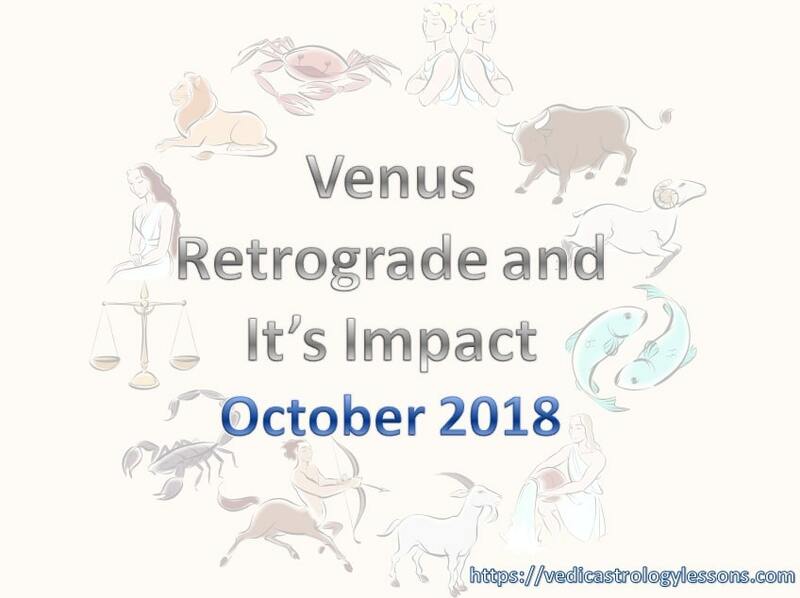 Venus—the planet of love, beauty, harmony and compassion, going into retrograde motion on 5th October 2018 to 16th November 2018. This six-week period can be a very tricky and full dilemma for relationships. If a bonding between couple’s is not built of concrete foundation, they will experience turbulence and jerks. This period will also give them an opportunity to go back and do the necessary work. People will see who’s willing to put in that investment…and who only shows up when things are good, fun and easy. Over all this period is going to be Eye-opening for them who are in day dream! Whenever a planet goes retrograde, it gives us signal to turn inward first: retest our motives, sculpt our hidden desires, even it also exhume few past demons with whom we haven’t fully dealt yet. It gives us a chance to redo, rethink, recollect, reconcile, revive, reunite, repair and restore. Now let us go though how retrograde Venus would impact your sign specifically—and know how to navigate it with grace and finesse. Wherever you go, there you are. Venus is in your 11th house of gain and friendships. Clean up your own romantic backyard instead of projecting blame on a mate or looking for the Holy Grail of lovers. You should reduce your time on dating apps while Venus retrogrades through this technology-driven sector. Maybe go mingle and meet people in the flesh instead? On a positive note, this could be a great time to reunite with cherished old friends. The world is usually your romantic oyster, but you may feel totally out of sync with new people until last of October, while retrograde Venus will make you risk-taking and cross-cultural connections. Committed guys could feel claustrophobic. If you are travelling, tread lightly with any vacation romances. In November, an ex-lover could resurface, tempting you into a taboo tryst. Feeling frumpy? Reconnect with your sensuality (think: massage, dancing, an undies-drawer revamp). Do the inner work to feel attractive again, instead of getting mixed up with a player.